Bond rating agency DBRS downgraded Alberta's credit rating from triple-A to double-A on Friday, one day after the government tabled a budget forecasting a $10.4-billion deficit. 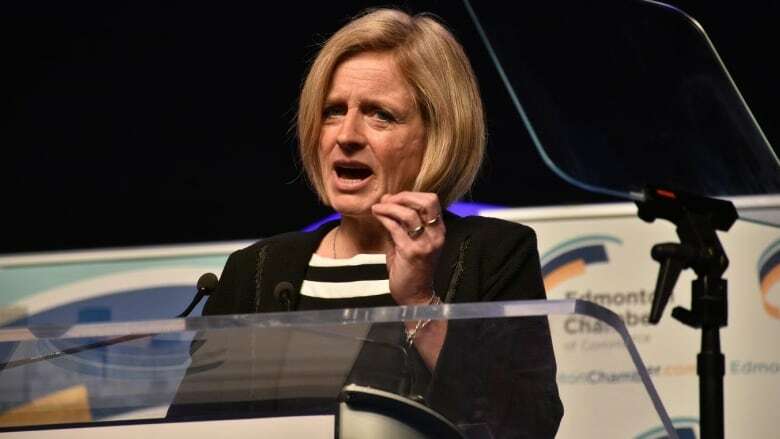 Alberta Premier Rachel Notley said she was not surprised on Friday to learn that bond rating agency DBRS has downgraded Alberta's credit rating from triple-A to double-A. The move came one day after the provincial government forecast a budget deficit of $10.4 billion for this fiscal year, with debt forecast to grow until at least 2024. "We were expecting that," Notley said. "Every major energy producing jurisdiction in the world has been dealing with credit-rating reductions, as have energy producing companies. "Even in the context of doing it, they note that we still have some pretty solid fundamentals. And ultimately, the bottom line though is, with a 20 per cent reduction in our revenue over the course of 18 months, there's frankly nothing we could have done to avoid it." In a statement, DBRS said the Alberta budget confirmed a significant fiscal shortfall, magnified by the government's reluctance to rein in spending or adjust taxation levels and a sizable capital plan. Finance Minister Joe Ceci called the lower credit rating "a disappointment." "In the current environment, all jurisdictions engaged in petroleum production are facing ratings downgrades," Ceci said in a statement. "We are also in a better position than some to manage these pressures, while we work to make Alberta less vulnerable to commodity price swings. "With the strongest balance sheet in the country and net assets of nearly $50 billion, Alberta is a strong and economically stable place to live and do business." Wildrose Opposition Leader Brian Jean said the government could have protected the credit rating by managing the province's finances more responsibly. The province was able to balance the books on $40 oil back in the 1990s under then premier Ralph Klein, he said. "When your government borrows money, and they throw it around like sailors, somebody has to pay that price. And taxpayers are going to pay that. When you have a lower credit rating, the price to borrow money goes up."